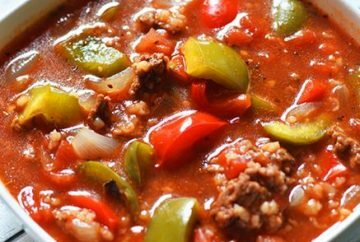 Our Top 6 amazing green pepper recipes you need to know: There are some among us who are a bit picky about their peppers. Sweet peppers, that is. The capsicum and in particular the less mature green pepper. 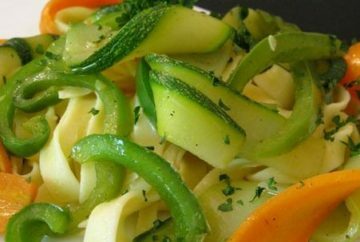 Here are a few things you might like to know about our green bell pepper recipes. There are 4 common colours to a bell pepper: green, yellow, orange and red. Each colour represents the maturity of the pepper with green being the immature pepper. The colour changes from green to yellow, orange and finally red as the pepper matures. According to the World’s Healthiest Foods, based on a 1 cup measurement, green peppers contain 12% of the daily requirement of vitamin A and 137% of vitamin C.
It’s about time to look upon the green bell pepper as a versatile vegetable in your culinary repertoire and for crying out loud, let’s stop stuffing them! However, if you really MUST stuff your green pepper, please blanch them first. Without further ado we are going to introduce you to our pick of green bell pepper recipes sitting out there on the world wide web. We hope you enjoy them. Our Englishness drew us to this recipe since we love our curry and that photo looks amazing! Although Beyond Curries describes this as a pickle, don’t expect an American pickle experience. 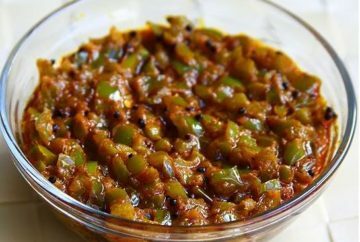 This is an Indian pickle and we encourage you to give this a go. We really couldn’t miss out this recipe from Eat Well 101, that includes pasta. We are added this recipe to the list because of the cooking technique used for the vegetables. 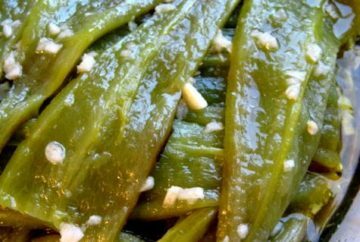 Cooking green peppers in this way keeps the meal quick and simple. Use this technique for salads too. We will be making this recipe from Almost Turkish Recipes, for you! In fact, it will be one of our first projects coming out of the commissary kitchen. We love that it is so Mediterranean in style and really shows off the humble green bell pepper. 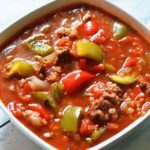 If you have to serve a stuffed pepper at all, how about this wonderful recipe for stuffed pepper soup from Recipes That Crock! 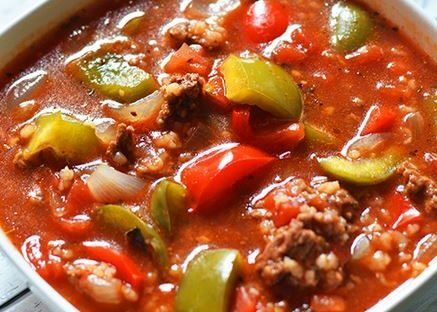 Here in America you really know your way around a slow cooker and just look at this soup …. IRRESISTIBLE! Yes, another curry but the Indians know a thing or two about cooking vegetables and this particular recipe from VahChef is very simple. This is a YouTube video and we love his face at the end when he tastes his work! You can find all of the ingredients in your local Asian market including the ‘curry leaves’ which can be substituted with fresh basil leaves. 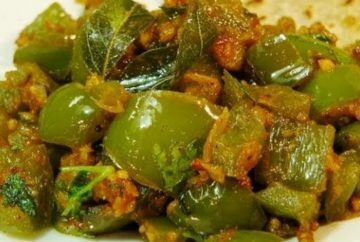 Some recipes for Capsicum masala add a touch of sugar in the middle of cooking. It’s up to you. 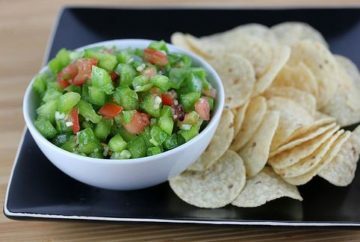 How about this vibrant Green pepper salsa recipe from Blog Chef. Certainly, if you love a simple recipe and salsa then this is for you! The labour is in the preparation but dicing all those vegetables is a great opportunity to hone your chopping skills. Well, there you have it, although we have a few recipes favourites for green bell peppers of our own to share with you and will add them in due course. Now go forth ‘Foodies’, collect your peppers and make magic!